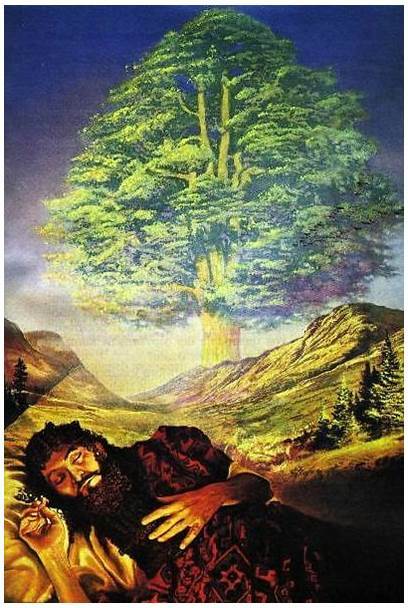 I love fables, especially Aesop’s fables. One of my favorites is the story of the two ducks and the frog who lived together in the same pond and became the best of friends. All day long they’d swim and play together. But then one day the pond dried up and they had to move to another pond, which was no problem for the ducks. They could fly. But what about the frog! Finally, they had an idea. 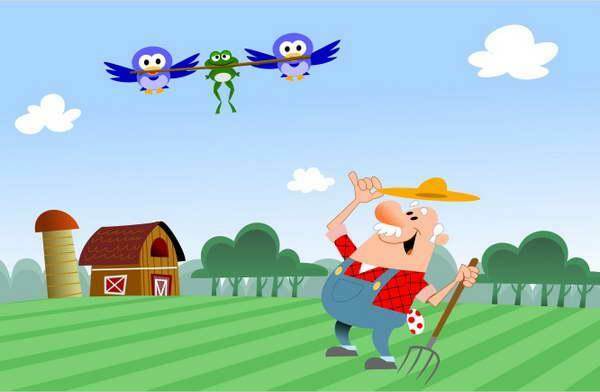 The frog would hold onto the middle of a stick with his mouth, while the ducks grabbed each end with their bills and flew him to the other pond. Sure enough! The plan worked great until midflight, when a farmer out in his field happened to spot them overhead and remarked, “What a brilliant idea! I wonder who thought of that.” To which the frog proudly replied, “I DIDDDDD!” Splat! God hates pride. The Bible is clear about that. Why? Because of the way it steals His glory by shifting the spotlight away from Him to us! But He isn’t the only One who hates it! So does everyone else! As someone has said, “Conceit is the only disease known to man that makes everyone sick except the one who has it.” But here is the problem: We all have it! Do you know how much of a day’s energy is spent comparing ourselves with others hoping we’re a little smarter, a little more successful, or a little more spiritual than they! We all have a pride problem. I do, and you do too. In fact, the louder we deny its presence in our lives, the more likely we are to become its victim. That’s dangerous! Pride destroys relationships, angers God, it erodes our character, and as we’ll see in our study, it can bring to ruin an otherwise great man or woman. For as James’ epistle warns, “God is opposed to the proud, but gives grace to the humble.” My goal for this study, then? To learn how to get more of the grace and less of the humiliation. The place I want us to see that is in Daniel chapter 4, where we find the sad but instructive failure of Nebuchadnezzar, the most powerful man on earth at that time. 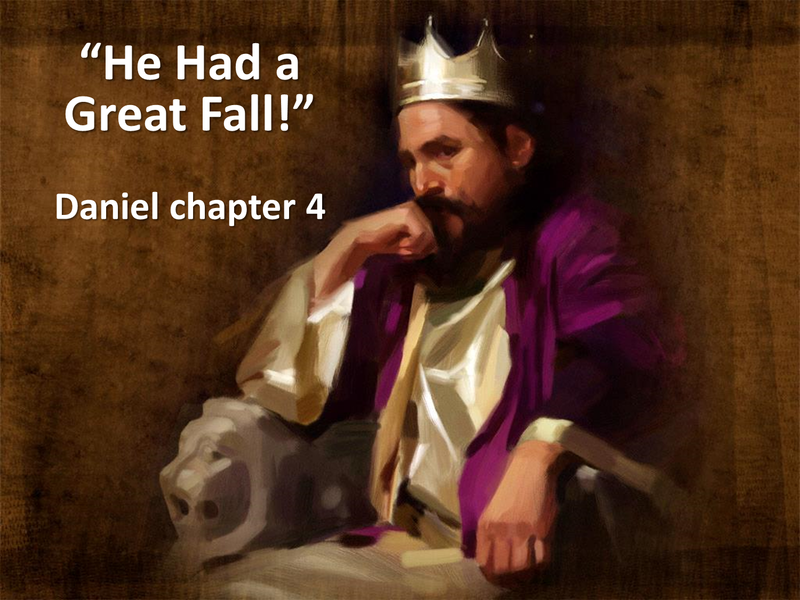 But he had a great fall, and all the king’s horses and all the king’s men couldn’t put him together again. Only God could do that by humbling him until he repented of his pride. Let’s learn with him how to do that. There are three important steps in the process. I. Maintain a Balanced View of Yourself. 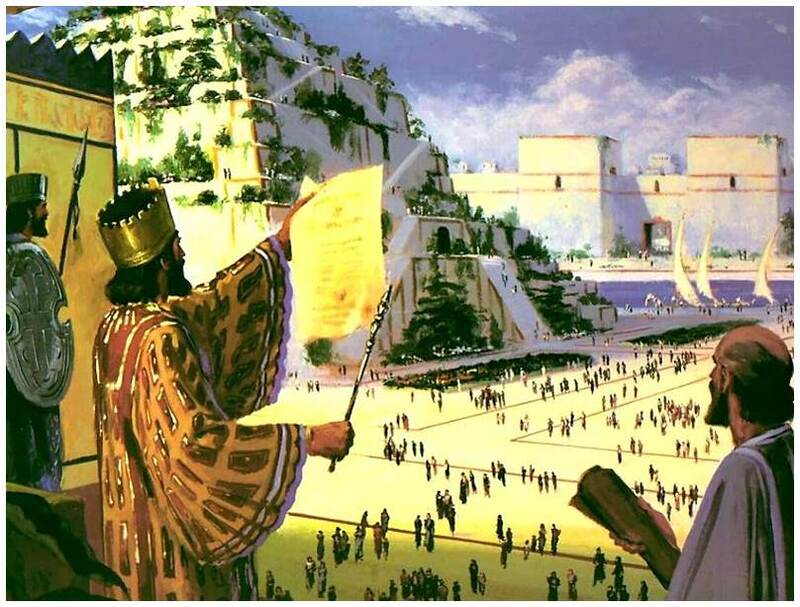 So verse 29 continues, “Twelve months later, as the king was walking on the roof of the royal palace of Babylon, he (begins to boast), ‘Is not this the great Babylon I have built as the royal residence by my mighty power and for the glory of my majesty!” We’ve all met people like this, haven’t we? Men and women who measure their worth by what they do, what they own, or how they compare with others. And if they’re smarter, richer, prettier, or slimmer, then they feel great about themselves. But if not, they’re frustrated, sad, and discouraged. The problem is not our desire to be successful. The problem is that we find our worth in these things and pursue them to the exclusion of everything else that matters, like worshiping God. As a result, what does God do? He lovingly pulls the rug out from under us, so we learn to humble ourselves and find our value in Christ alone. Have you heard of the boat with the whistle so big, which proudly its deck did adorn, that when they did blow it the vessel would stop? It took all the steam for the horn. Do you oftentimes burst with such arrogant pride, your poor timid brother to scorn, trying to bolster your feelings of worth, does it take all your steam for your horn? Let God set the value upon you, my friend, for almost as sure as you’re born, you’ll hinder your progress and embarrass yourself, if you use all your steam for your horn. II. 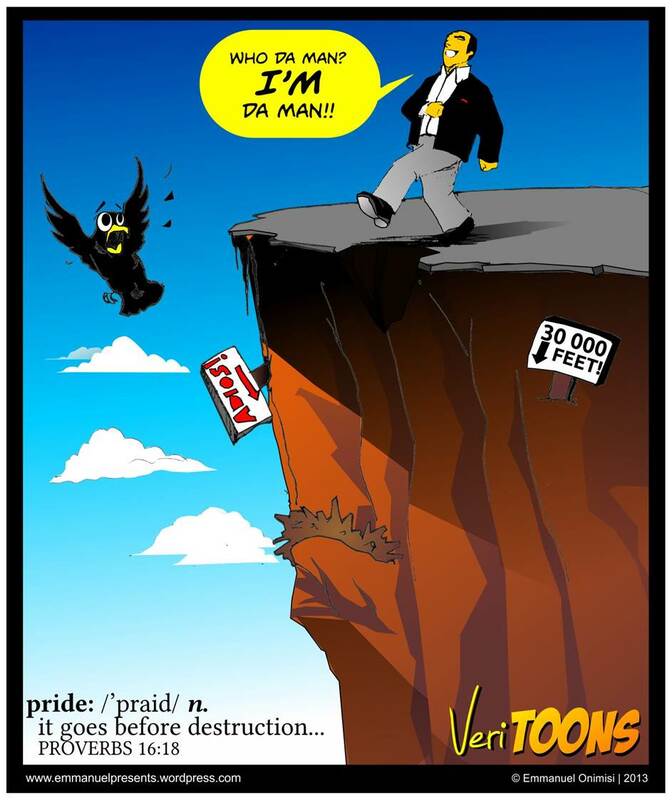 Beware the consequences of pride. God moved him from the palace to royal zoo! Psychologists call this condition “boanthropy,” a mental disorder in which the person believes that he’s a cow or an ox. In Nebuchadnezzar’s case, it was so severe that he actually began to eat grass like a cow and let his hair and nails grow for seven years without cutting them. Why did God strike him with such a humiliating illness? As a warning to everyone who would come after him that pride not only distorts our view of God and ourselves, which are the building blocks of mental health; it can also strip us of everything that’s near and dear to us. A husband and wife will find themselves in the middle of a conflict, but instead of being humble enough to say, “I’m sorry. This is how I was wrong,” they blame the other, and what happens to the coldness between them? It grows deeper and wider. Or a person may accept a position of spiritual leadership, but instead of using it as a platform to serve others; it goes to his head, causing nothing but conflict and division in the fellowship. We had a treasurer like that in one of our churches years ago who was sure he knew best how the money should be spent. So when asked to release the funds budgeted for ministry, he’d drag his feet frustrating everyone who was trying to get something done. So let’s agree to leave our egos at the door when we enter this place, so God gets the glory and we’re able to work together in unity to get done what He wants us to do. Pride destroys marriages, divides churches, and it can also damage our relationships at work. Did you know I once lost a job because of pride? In high school, I was hired to tutor a boy in 7th grade boy in algebra. But one afternoon, in the middle of our studying, his dog started jumping up on my leg, barking and snapping at my foot. So I pushed him away. When that didn’t help, I pushed him a little harder, which was when his mother entered the room, saw what I was doing, and began to scold me, “If that’s how you treat animals, I don’t want you tutoring my son!” So instead of apologizing, I walked out and never came back. Of course, I never forgot the experience, and a few years later, when I decided to follow Christ, it came back to my memory, and I thought, “Well, maybe I should call her up and apologize.” She was member of my mother’s church and was trying to be a good witness to my family. So I called her on the phone and apologized. And guess what! She’d not only forgotten the incident, she had no idea who I was. Talk about humbling experiences! Boy, did that take the steam out of my whistle! But I’m glad I did it, because it made me much more hesitant to lose my cool after that. III. Develop a higher and greater view of God. That’s what God has been nurturing in Nebuchadnezzar’s life up until this time. In chapter 1, he king showed contempt for every god except the gods of Babylon until he met Daniel and witnessed the excellence of his character. Then in chapter 2, in his vision of the statue, he learned that only Daniel’s God is wise enough to reveal the future. Then last week in chapter 3, the king was amazed by God’s power to save Shadrach, Meshach and Abednego out of the burning fiery furnace. But he still hasn’t come to true faith and repentance because his view of Jehovah is still irreverently small. That’s why God took him through this humiliating experience of eating grass like a cow. He was patiently and lovingly breaking him of his pride and bringing him to a point of genuine repentance and faith. You see, so often we look at the setbacks of life as proof positive that God doesn’t care about us. “After all, if He loved me, He wouldn’t let this happen to me!” But just the reverse is true. If we look rightly at our trials, we’ll see that they’re God’s loving tools for humbling us, so that He can draw us closer to Him that we ever have before. That was Moses’ explanation to the children of Israel in Deuteronomy 8:2, “Remember how the LORD your God led you all the way in the wilderness these 40 years, to humble you and…teach you that man does not live by bread alone, but by every word that proceeds out of the mouth of God.” And that’s why God also takes us through the wilderness at times. He loves us and is teaching us that He is sufficient for everything. 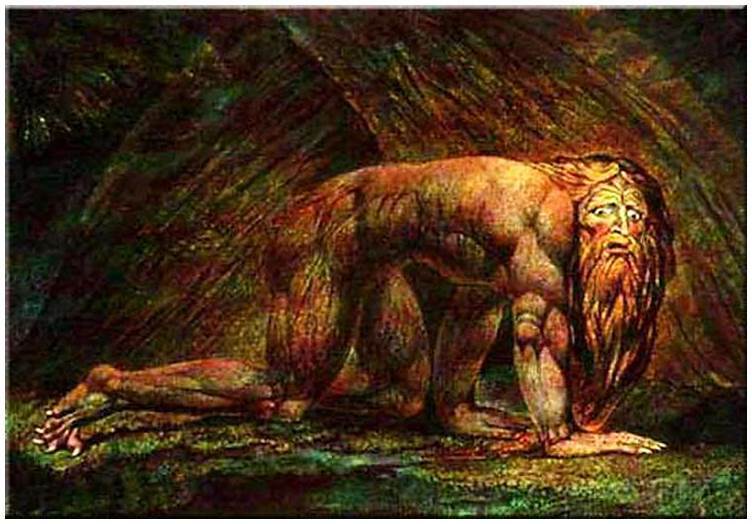 Just think where Nebuchadnezzar would be today if God had left him in his pride. And just think where you would be tomorrow if God left you in our pride today. David wrote in Psalm 119:67, “Before I was afflicted, I went astray, but now I obey Your Word. It was good for me to be afflicted, that I might learn your statutes.” It isn’t pleasant to be disciplined, but it is worthwhile. So God afflicted Nebuchadnezzar to bring him to his senses and make him realize that all that he was and had was because of God. “At the same time that my sanity was restored, my honor and splendor were returned to me for the glory of my kingdom. 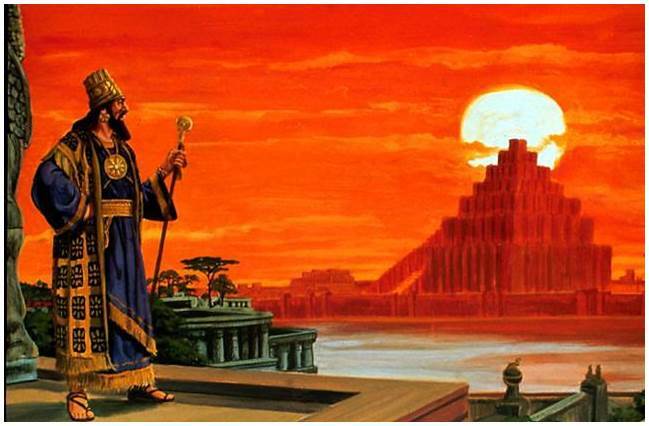 My advisers and nobles sought me out, and I was restored to my throne and became even greater than before. Now I, Nebuchadnezzar, praise and exalt and glorify the King of heaven, because everything He does is right and all His ways are just. And those who walk in pride He is able to humble.” Nebuchadnezzar’s turnaround came when he got a right view of God. And the same is true of us. So raise your eyes to heaven right now, recognize how good and great our Creator is, and then give Him alone the glory for every good thing that has happened in your life. One of my favorite presidents to read about is Theodore Roosevelt. If there was ever a president known for being a man’s man, it was he. Consequently, many of those he invited to the White House had the same tough image. One was William Beebe the explorer famous for slashing his way through the jungles of Africa, Asia, and South America with a machete. Oftentimes, the two great men would sit up late at night trying to outdo one another with their tall tales. 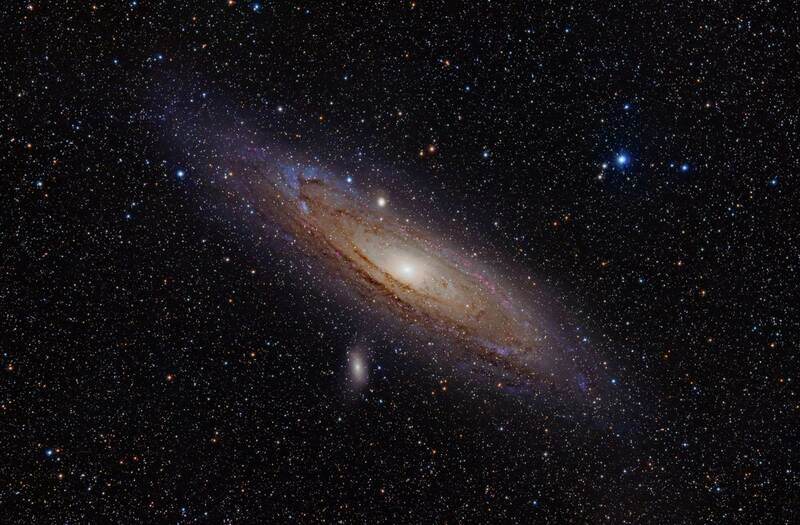 But always before they headed off to bed, they’d wander outside to see which of them could be first to spot the Andromeda Galaxy high in the sky above them. Gazing at that tiny smudge of starlight, one of them would say to the other, “There is the spiral galaxy of Andromeda. It is one of 100 billion galaxies in the universe and as large as our own Milky Way Galaxy. It is 750,000 light years away and consists of 100 billion suns, each one larger than our own.” Then when enough time had elapsed for that thought to sink in, the Great Roughrider would smile and say, “OK, Bill. Now I think we’re small enough. Let’s go to bed.” And the two men would retire, put in place by the majesty of our Creator. That is what we need to do to be delivered from this devastating demon called pride. We need to be put into our proper place by fearing the consequences of pride and recognizing how good and great our Creator is. Amen!